The man who supplied guns to the terror couple who killed 14 people in San Bernardino, California last week is related to the family by marriage. Enrique Marquez has been speaking to federal investigators after initially refusing to talk. Officials raided his home over the weekend as part of the probe into the attacks. Marquez was married last year to Mariya Chernykh, whose sister is the wife of Raheel Farook, brother to shooter Syed Rizwan Farook, reported Reuters, citing state documents. Marquez bought two assault-style rifles legally several years ago. 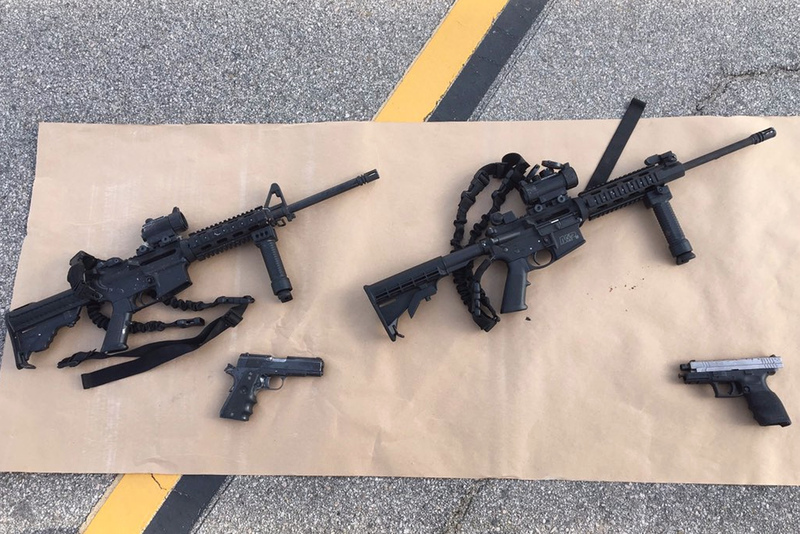 They were two of the four guns used by Farook and his wife Tashfeen Malik in the attack on December 2, which also wounded 21 people. Marquez either sold or gave the guns to Farook. The Farook brothers grew up next door to Marquez he has been described as a good friend of Rizwan Farook. Almost immediately after the shooting, Marquez checked himself into a psychiatric facility. But he was being interviewed by law enforcement this week, an official said. While documents say Marquez was married to Chernykh in November 2014, two neighbors said they never saw him with a woman. “I saw no sign of him having a wife–it was only his mom in the house,” said Lori Aguirre, who lives across the street and said she knew Marquez because he sometimes drove her son to and from school. However, another neighbor said he saw Marquez with a woman although he wasn’t sure it was his wife. People who know Marquez told the New York Times that he is a Muslim. 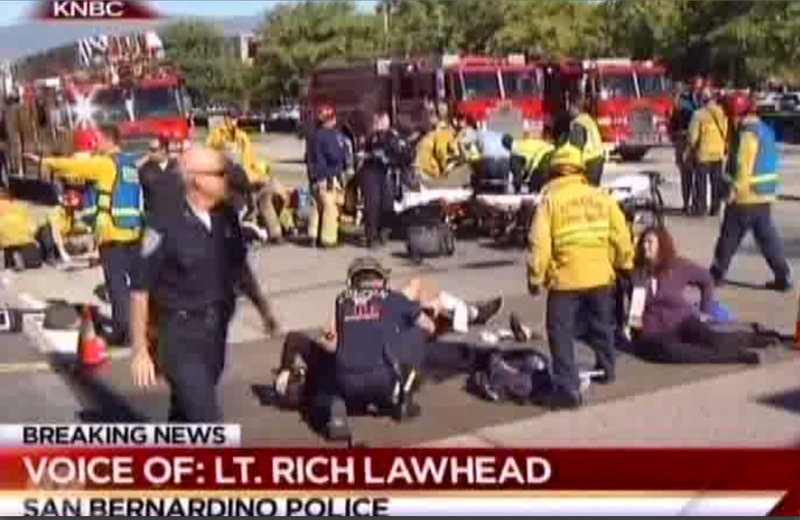 Farook and Malik were Muslims who were radicalized at some point, officials have said. Azmi Hasan, the facilities manager at the Islamic Society of Corona-Norco, said Marquez converted to Islam about five years ago. Michael G. Stone, a friend of Marquez from the local punk rock scene, told ABC News that his friend had told him something at a party a few months ago that he now sees in a new light. An individual associated with a local mosque that Marquez attended, who declined to be named, said Marquez was shy and polite but did not seem that bright. 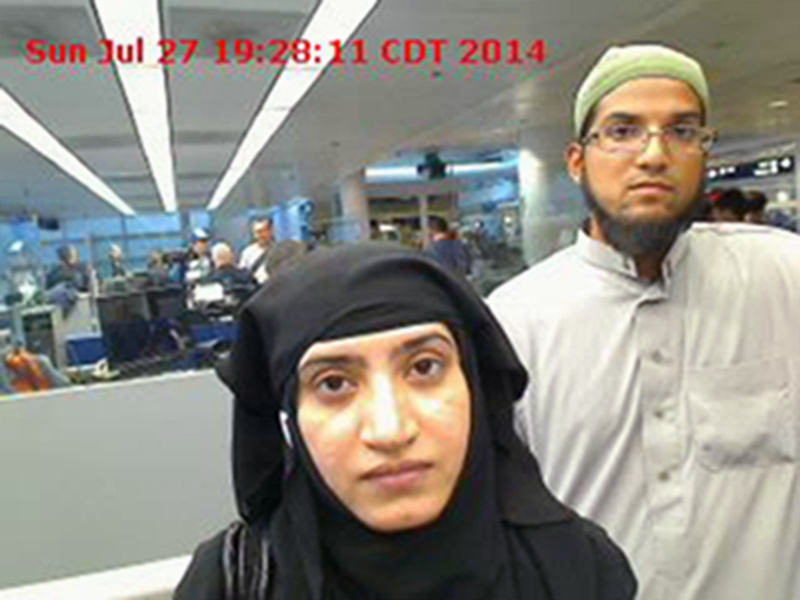 Two of Farook’s family members attended the same mosque. A friend told the Daily Beast that Marquez shot guns with Farook but after an unspecified disturbing incident several years ago, began to separate himself from Farook. “The conversation throughout was: ‘OK, this is someone I know. This is someone that used to be my friend,’ the friend recalled Marquez saying over the phone after the shooting. The friend, who didn’t want to be named, claimed that Marquez has no hand in the terror attack. He also claimed that Marquez was not that dedicated to Islam.